West Brom manager Alan Pardew will hold a crisis meeting with the club's hierarchy on Monday following their 4-1 defeat to Leicester City at the weekend. An impressive goal from Salomón Rondón put the hosts in front on Saturday but a Jamie Vardy wonder strike levelled the scoreline before half-time. Riyad Mahrez, Kelechi Iheanacho and Vicente Iborra then scored during a frantic second half to pile more misery on the Baggies. 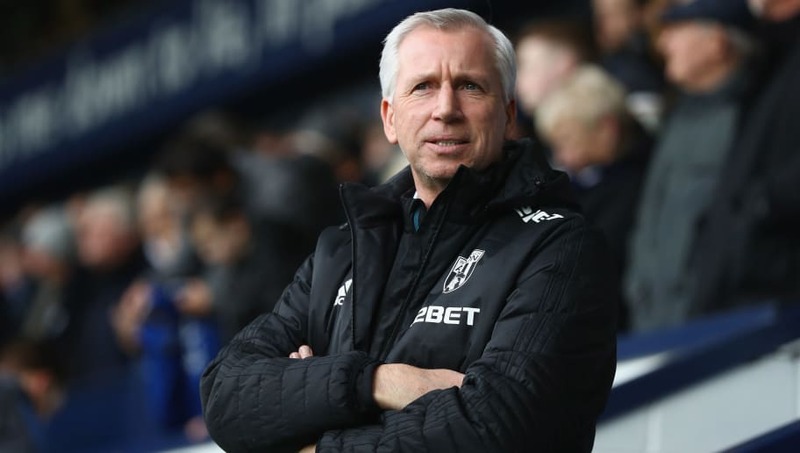 It is understood that the club's chief executive, Mark Jenkins, would have fired Pardew sooner had it not been for the lack of managerial replacements currently available and willing to take over at the Hawthorns. Despite temporarily keeping his position intact, Pardew has appeared to accept that ​West Brom's defeat to ​Leicester could have been his last game in charge at the club. "It’s tough to stand there and experience that last period of the game so I’ll dwell on that a little bit and make sure that I build myself up - because if I’m not built up then we really are struggling," Pardew said after full time, as quoted by the Telegraph. "We have to still believe and still fight. I’m not going to make excuses for the players but we’ve got to fight to the end. "I think the fans can see the struggles in the team. We’re not doing certain things and we’re not the best team in the world, technically, and we’ve got to work and keep digging in."